The first Space Based Infrared System (SBIRS) geosynchronous (GEO-1) satellite is enjoying its on orbit schooling, over a year since it was launched. The Lockheed Martin spacecraft is reported to be exceeding performance expectations ahead of being awarded its operational certification later this year, at which point it will enter service to aid allied warfighters. The satellite is the first dedicated spacecraft to be launched as part of the Space Based Infrared System. SBIRS is a system of spacecraft which monitor the Earth using infrared sensors in order to detect and track missile launches. The system will consist of a group of satellites in geosynchronous orbit, and sensors on other satellites in highly elliptical orbits. Satellites in low Earth orbit were originally planned as well, however these were later cancelled. 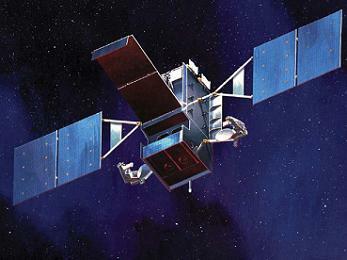 SBIRS GEO satellites are built by Lockheed Martin, based around the A2100M bus, whilst Northrop Grumman is responsible for producing the instruments. Each satellite is equipped with two sensors, one of which scans the whole of the visible part of the Earth, whilst the other focuses on one particular area, such as a known missile base. The A2100M bus is also used for several other military satellite programmes, including the Advanced Extremely High Frequency communications satellites. 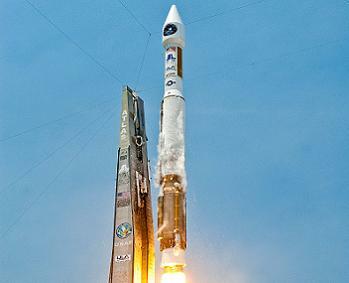 The first AEHF satellite, USA-214, was launched in 2010. USA-205, a risk-reduction satellite for the Space Tracking and Surveillance System (STSS) programme, was launched atop a Delta II rocket from Vandenberg in May 2009. It was followed by two demonstration satellites, USA-208 and 209 in September of the same year. An additional demonstration satellite, SBIRS-LADS, was never launched. SBIRS satellites are launched into geosynchronous transfer orbit, which eliminates the need for a heavy-lift launch system such as the Titan IV or Delta IV-H to take them all the way to geosynchronous orbit. Two SBIRS-HEO payloads are already in orbit, aboard the US National Reconnaissance Office’s ‘Improved Trumpet’ electronic intelligence spacecraft. The first, USA-184, was launched aboard a Delta IV-M+(4,2) on 28 June 2006, and the second, USA-200, was placed into orbit by an Atlas V 411 on 13 March 2008. These sensors are believed to be working well, and two more are currently under construction. They remain attached to the NRO spacecraft, which are located in Molniya orbits. The SBIRS programme was originally intended to include a low Earth orbit element, with satellites detecting launches, tracking missiles and identifying the type of missile in flight. This element grew out of the SDIO Space Surveillance and Tracking System, later known as Brilliant Eyes. In 2002 it was spun off from SBIRS as separate programme named the Space Tracking and Surveillance System (STSS), under the control of the Missile Defense Agency. This first spacecraft was launched via the United Space Alliance (ULA) Atlas V 401 on May 7, 2011 from Cape Canaveral Air Force Station in Florida. Within two months after launch, SBIRS began sharing initial GEO-1 satellite data. Key performance data was reported by the Air Force on Tuesday, noting the GEO-1 sensors are detecting targets 25 percent dimmer than required with an intensity measurement that is 60 percent more accurate than specification. The sensor pointing accuracy is also reported to be nine times more precise than required. “The outstanding performance trends seen to date gives us confidence heading into our extensive integrated developmental and operational testing campaign,” said Lt Col Ryan Umstattd, SBIRS lead for GEO-1 certification. Interim mission performance results indicate that GEO-1 already demonstrates the ability to meet more than 90 percent of Air Force Space Command’s performance requirements for operational use, and the remaining performance refinements are on track to be completed well before the satellite is fully certified for operations by US Strategic Command later this year. The need to detect missile launches dates back to the Cold War, when both the United States and the Soviet Union perceived a danger that the other could launch a surprise nuclear attack. In the mid 1950s, the United States began development of the first space-based missile detection system; the Missile Defense Alarm System or MIDAS, which used satellites in low Earth orbit equipped with infrared sensors to detect launches. Despite the end of the Cold War, the threat remains, especially from counties such as Iran and North Korea. The SBIRS team is led by the Infrared Space Systems Directorate at the US Air Force Space and Missile Systems Center. Lockheed Martin is the SBIRS prime contractor, Northrop Grumman is the payload integrator. 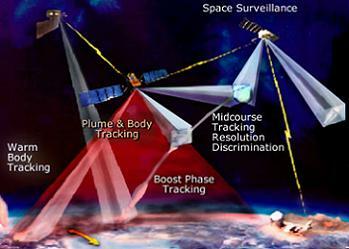 Air Force Space Command operates the SBIRS system. Lockheed Martin are already working on the core structure for the fourth SBIRS geosynchronous satellite (GEO-4).